NICE!!!! i really like how the modified last puzzle is now!!!! it works really well! Thanks! I'm not sure why I didn't do this to from the beginning. haha! 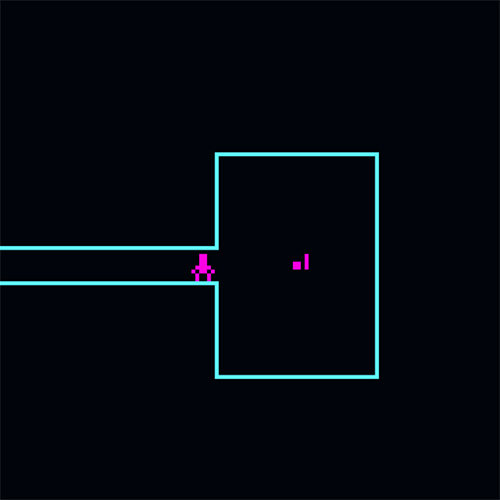 After I designed that puzzle, I realized that the player wouldn't be able to do it again if they messed up later since items are a one-time pickup, so I made it a fail state. 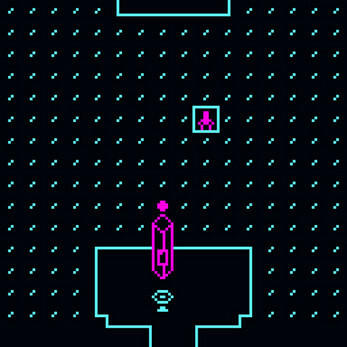 I'm thinking about changing it to where there are arrow tiles under the items to point the way, then removing the "exile" thing altogether. Really enjoy the atmosphere here. The art style really works well and even though the puzzles were a little frustrating at times when i made one slip-up near the end, I felt rewarded afterwards. The soundtrack backs it up super well and I definitely plan on downloading it. I'm really looking forward to the future installments you mentioned in the dev log! I appreciate your feedback! I'm glad you gave the puzzles a second try. I realize they are a little more annoying than I had originally planned. Thank you for playing, reading the log, and posting here! Your dev log brought me here. It never ceases to amaze me what clever things can be done with Bitsy. Love the musical feel as well! The environment and look make me think of Logan's Run for some reason. I really appreciate this. 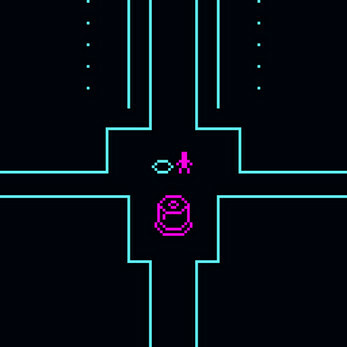 And I agree about bitsy - There's much more to it than it would seem at first glance. Great! I don't feel I got enough skills to go through an improvised bitsy game. Good music and puzzles.